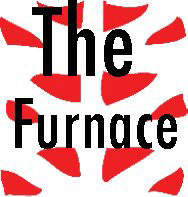 Tonight we’re launching The Furnace, and I’m very excited to be reading my story “More Like Home Than Home”. Corinne asked me a question about that story over on The Furnace’s blog, giving a little taste for the evening’s festivities, and over at Hollow Earth Radio’s blog there’s a nice round up of all the write ups we’ve gotten thus far. And here’s the Facebook invite. Hooray! Hope to see you tonight!